Aevidum recognizes the value of athletic teams in creating healthy environments. 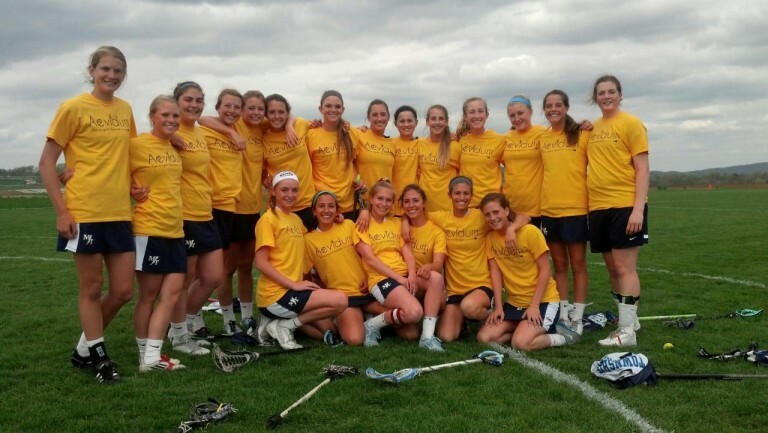 During Aevidum awareness games, student athletes wear Aevidum shirts while they warm up, place Aevidum decals on their helmets, wear bright yellow shoelaces, etc. Banners and posters are placed throughout the gymnasium or field to raise awareness of the “I’ve got your back” message. Students share public service announcements before the game and/or during halftime and provide printed resources to every individual who attends. In January of 2016, Warwick High School in Lititz, Pennsylvania held Awareness Games at a basketball double-header. Check out this Aevideo where Warwick Aevidum members provide details and instructions about hosting your own Awareness Games. Aevidum is only as strong as those it represents. Created Empowerment Posters to highlight people from a variety of social circles demonstrating what Aevidum inspires them to do. Select students with diverse talents who represent a variety of social circles, cover a range of activities, and positively represent “I’ve got your back.” This will show your school community that everyone is accepted, appreciated, acknowledged, and cared for. Recruit student photographers and designers to photograph the students in action and create the posters. Print the posters and display them throughout your school and community. 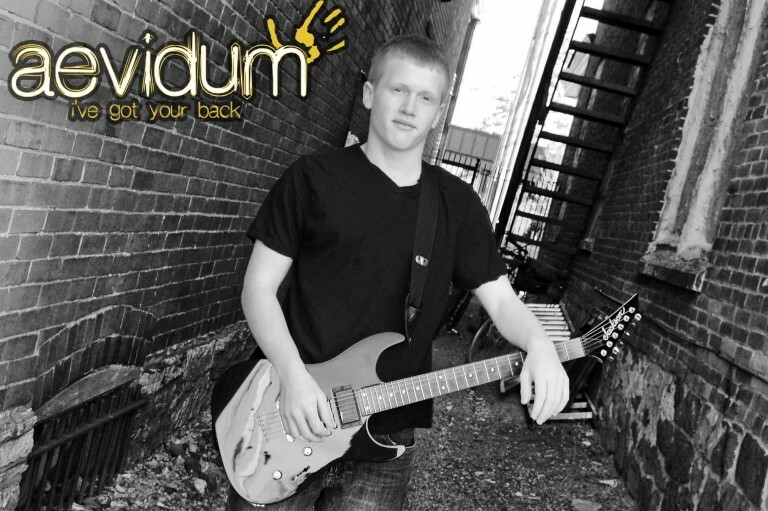 Aevidum strives to make sure all people know that someone has their back and someone cares about them. 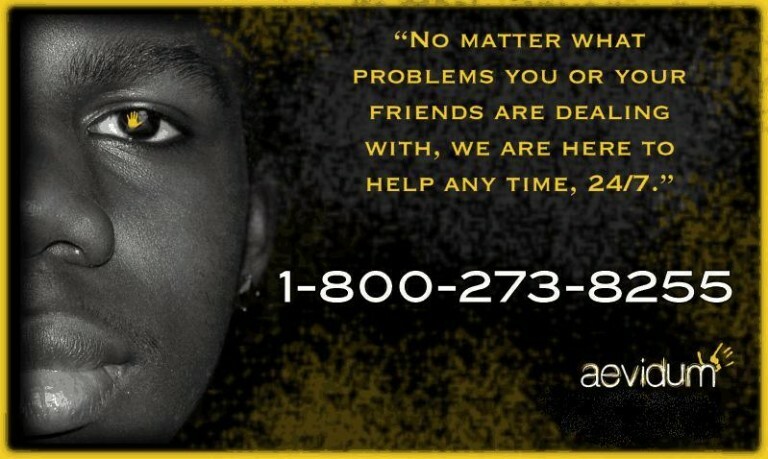 Even when it feels like you’re alone, the National Suicide Prevention Lifeline is always available and ready to take your call. Aevidum encourages all schools to participate in the “It’s in My Cell” campaign. The goal of the campaign is simple: get all students to have the National Suicide Prevention Lifeline number and the Crisis Text Line number in their cell phones. Every student deserves to feel like the school cafeteria is a safe and welcoming place. Create “safe seating” – a clearly labeled table that welcomes any student who may not have a comfortable place to sit during lunch. Have different club members sit at the table to welcome anyone who may feel alone so all students know that they’re cared about and someone has their back. Cut out a paper handprint representing each student in your school. Write the name of a student on each one to show that everyone matters. Make sure every student is included and display the hands throughout your school to remind everyone that they are welcomed, accepted, and cared for, and to acknowledge their roles within your school.